Introducing the Bravo One Elite Realistic tactical look M16 style marker with fully adjustable stock and 12" barrel. Enter the battle field and look the part with this amazing paintball gun upgrade, exclusive to our paintball venue. The rugged aluminum body will withstand heavy duty combat situations and provides increased performance and durability. Pinned down, in the village and you're on your own. You're about to go Rambo and your enemy and fire your way to victory in a blaze of glory. You gently squeeze the trigger and... nothing. No paintballs left in your hopper. Now, you're just a sitting duck in overalls. We offer a range of great deals, with prices starting out at just 7 quid per 100 paintballs, getting cheaper the more you buy. Don't be a human target. You're crawling through the undergrowth, or about the breach the castle door and you need to cover your tracks. You could just try and dodge the shots or with an expert aim you could take out the enemy. 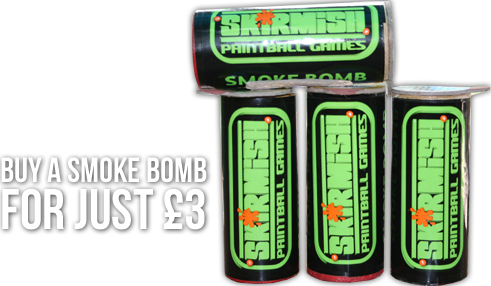 Or you could set up a smoke trap using one of our powerful smoke bombs and simple destroy your enemy from the cover of coloured smoke. Your call. You're pinned down, paintballs flying over head and you have a hand full of the enemy in the distance bearing down on you. But you can only shoot one at a time. You need a distraction, something that gives you those valuable extra seconds Producing a loud bang and flash of smoke, these powerful pyrotechnics are an excellent way of startling, distracting and generally scaring the enemy whilst you adjust yourself and prepare for the battle of your life. Keep your gear safe while you're taking on the world. We have an impeccible record on site when it comes to looking after peoples possesions. 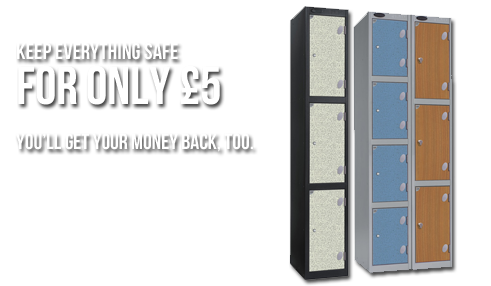 However, why not hire out a locker for just £5 for that extra peace of mind? Don't worry, that money is refundable! You don't want any distractions when you're plotting your next move, do you?